In 1968, an expert on animal behaviour and population control called John B. Calhoun built what was essentially a utopia for mice that was purpose built to satisfy their every need. Despite going out of his way to ensure the inhabitants of his perfect mouse society never wanted for anything, within 2 years virtually the entire population was dead. So what happened? A tank, 101 inches square, enclosed by walls 54 inches high. The first 37 inches of wall was structured so the mice could climb up, but they were prevented from escaping by 17 inches of bare wall above. Each wall had sixteen vertical mesh tunnels—call them stairwells—soldered to it. Four horizontal corridors opened off each stairwell, each leading to four nesting boxes. That means 256 boxes in total, each capable of housing fifteen mice. 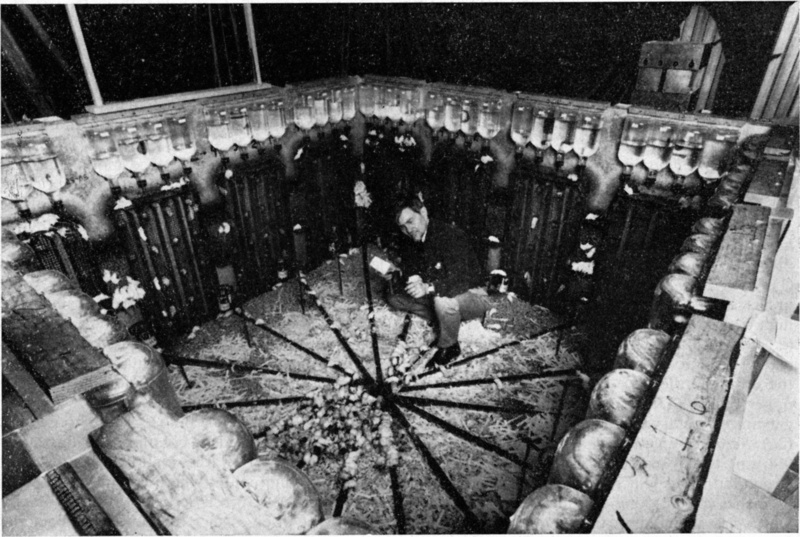 Well versed in rodent populations from dozens of previous experiments (something that’s kind of apparent when you realise the enclosure was called Universe 25) Calhoun anticipated that his mouse paradise could reliably and more importantly, comfortably house 3840 mice. Before that though, he needed to pick the proverbial Adam and Eve of his mouse Garden of Eden. Calhoun eventually settled on four breeding pairs of mice specially bred for the experiment and hand-picked from the most healthy specimens from the National Institute of Health’s own breeding colony. Before discussing what happened next we should give some background information about how this experiment came to be and what it was hoping to accomplish. Prior to creating Universe 25, Calhoun had performed a number of similar experiments with rodents starting way back in the 1940’s, all of which ended in failure when the population either stalled or turned on itself. For example, in one experiment Calhoun created an enclosure that could have easily housed 5000 rats but the eventual population never rose above 200 despite unlimited food, water and a complete absence of predators or threats. Furthermore Calhoun noticed that, again despite ample space his rodents would often crowd together, which resulted in a breakdown of social structure amongst the population. This unusual phenomenon led Calhoun to coin the phrase “Behavioural Sink” to describe what he felt was the inevitable collapse of any overpopulated society. Calhoun’s experiments eventually caught the eye of the National Institute of Mental Health or NIMH who were intrigued about the observed effects of overpopulation in rodents, specifically if any of the observed phenomenon could be applied to humans. To this end, NIMH gave Calhoun access to a small piece of land they owned in Maryland and the funding needed to construct Universe 25. The stated goal of the experiment was simply to see whether a “perfect” society would flourish. Initially the experiment proved successful and the mice lived in relative harmony and within a year, the population of eight super-healthy mice swelled to a respectable 620 members. Great care was taken to ensure the mice were taken care of, food and water was unlimited allowing mice to eat or drink whenever they pleased and there was always space and clean bedding available so females could rear young in peace and safety. Despite this, Calhoun noticed that after day 315 of the experiment, things started to go wrong. First of all there was a noticeable drop in population growth. While initially the population of mouse heaven had doubled every 55 days, after day 315 it doubled, according to Calhoun’s notes, approximately every 145 days. This made little sense as there was still at this time ample space to house an additional 3000 mice. In addition to a drop in population growth, Calhoun also noticed an abrupt change in behaviour in both males and females. Social bonds effectively broke down and male mice, without a reason to defend their territory or food source (since both were plentiful) became dejected, forming cliques that randomly attacked one another for seemingly no reason. Females similarly began abandoning young or even attacking them and slowly but surely, both males and females simply stopped breeding. In the lead up to this, certain of the male mice began continually mating with whatever mouse happened to be around, be it male or female. Many of the mice also began to simply kill and eat one another, despite the abundance of other food sources; mothers abandoned babies, mice would crowd together in groups of 50 or more in pens designed to hold 15 individuals, while pens with plentiful bedding sat empty inches away. Most intriguing of all were a small group of males and females who withdrew themselves from mouse society altogether to live in the upper levels of the enclosure that Calhoun dubbed, “The Beautiful Ones”. These mice did nothing but sleep, eat and groom themselves (this gave them noticeably smoother looking coats which, along with their isolation meaning no scars from attacks, led to their nickname). They seemingly lost interest in all meaningful social bonds, refusing to interact or mate. The last birth in Universe 25 took place on day 600 and from this moment, the population slowly dwindled. Even when the population receded to levels where the mice had previously flourished, they refused to breed or go back to their old way of interacting. Calhoun saw his experiments as a warning bell for humanity, with his belief being that overpopulation would inevitably lead to social collapse and thus, the extinction of the human race. Others have taken less nihilistic views of his work and believe that his results aren’t comparable to what would happen in human society as, after all, we’re slightly more complex and self aware creatures than mice. That said, what’s often lost in Calhoun’s work is what came after, in which he continued to research and tweak environmental variables to try to find ways to keep the mice from going down the extinction path even as the population density grew. And, in fact, he had some success at this, for instance in one case via simply encouraging creativity in certain mice by various means. Giving them a sort of purpose here actually worked, with the “creative” mice continuing to thrive well beyond what would have otherwise been expected from the previous experiments. In the end, whatever one’s opinion of whether Calhoun’s work is actually relevant to humans, it’s still kind of fascinating that a near rodent utopia resulted in the mouse equivalent of the purge. So all died in 2 years, do you know which generation that “refused to breed or go back to their old way of interacting”, the second one? Sounds like Calhoun missed the obvious – with nothing to work toward the mice gave up on living. No competition, no food problems, no space issue, no shortage of mates – paradise was boring. Once every six months, drop a cat into the complex, let it hunt for fifteen minutes. Nothing like a natural disaster or common enemy to keep a society motivated. What about the inbreeding? Maybe should of started with 100 couples, and also “things to do” like wheels, games, etc. Karl should have made this into a Factfiend about how brutal mouse experiments led to the cartoon Secret of NIMH.